Former Bayan Muna Representative Satur Ocampo was a journalist when he joined the underground revolutionary movement to fight the Marcos regime after Martial Law was declared. In 1976, he was captured and subjected to severe torture that included electric shocks and lighted cigarettes pressed on his skin. But he acknowledges that one of his worst tormentors was a young, long-haired Constabulary officer, Rodolfo Aguinaldo, who would later become governor and congressman of Cagayan before he was assassinated by the New People’s Army. 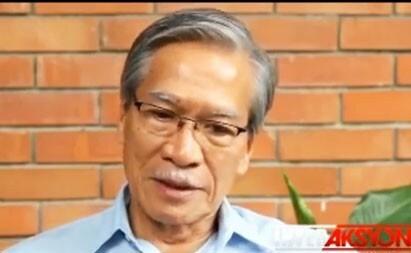 Ocampo escaped in 1985 and returned underground, surfacing as spokesman of the National Democratic Front for the short-lived peace talks of 1986-87 that collapsed after the Mendiola Massacre. Recaptured in 1989, he was released without being found guilty of any crime in 1992. Since then he has been a leading figure in Philippine leftist politics.